Bartholomew´s chart of the world 1914 on Mercator's Projection. Beautiful map received, very happy with it! The map itself is beautiful, printed on nice thick high quality stock. The only reason I didn't give it 5 stars is that the pictures have a thin black frame, but this item does not come with a frame. It probably says somewhere on the site that the frame is not included, so this is really probably reader error. 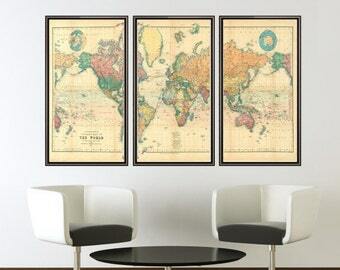 But, I expected it, and didn't get it, and framing on something 50×32 costs about 3 times as much as the map itself. All prints come unframed. 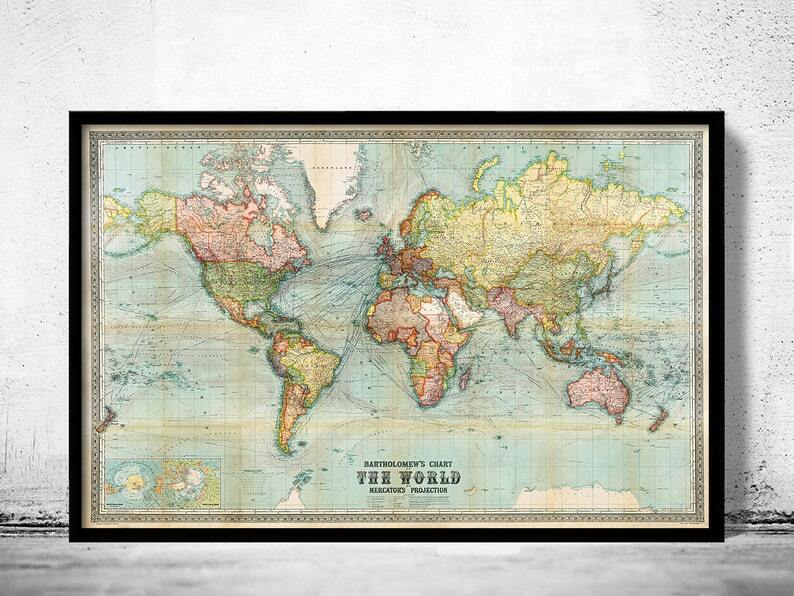 For the widest range of options, take your print to a local frame shop for a custom frame. Most frame shops have a large selection of frames, and will be able to size the materials exactly as you like. Most art supply stores stock a wide range of ready-made frames. There are also many online frame shops that sell high quality frames. Be aware that during holidays season like Christmas some delays may occur.